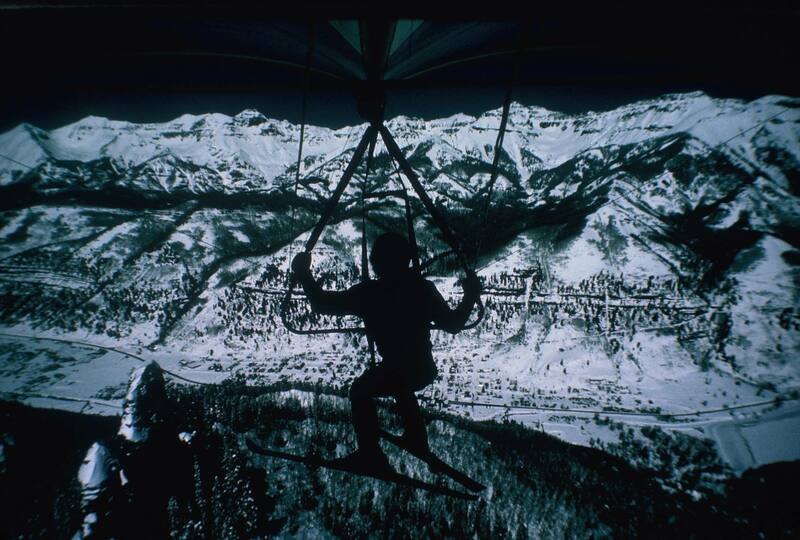 The Telluride Air Force is a hang gliding and paragliding non-profit organization providing oversight and safety-focused regulation in Telluride, Colorado USA. Telluride’s complex and rapidly changing atmospheric environment require visiting pilots, (without exception), to fly with supervisory oversight of a Telluride Air Force member holding “Guide Pilot” status. Mobile device CHATBOX select Desktop Version, bottom of page. Clint Wolf on a plastic swing seat, high and free over Needle Rock. Telluride Circa 1974. I’m a H3 pilot with 20 years experience at many sites. Should be 4 by now but have to take the written. Driving from LA to Chicago this week and would like to fly Telluride. Who so I speak with to organize flying at your site? Hi crew. My name is Danny and i’m a H4/P3 and I have not flown telluride before. Pulling into town this afternoon and will be here until Saturday. Please let me know if there is any flying going on. Thanks! Just want to thank everyone here in Telluride for having us here to fly this amazing arena! Couldn’t have asked for better folks and conditions the last couple of weeks to watch the leaves change colors with in the San Juans from the sky! Thanks Neal for throwing this informal gathering and bringing us here to fly. What a hoot! Recently made my SAHPA Paragliding license in South Africa and am in the process of getting certified with the USHPA. I live in Telluride and want to find out what is required to fly here. Where are the nearest P2 launch sites? Anything closer than SLC? USHPA hasn’t developed the flying sites page.